Keep the barrel always pointed in a safe direction, even if the gun is apparently unloaded or with its safety lock activated. Treat every weapon as if it was loaded, there is no method capable of guaranteeing 100% that it is completely discharged. Aim exclusively at your target; keep the weapon away from any other element until you are ready to shoot. Check your target and its surroundings, guaranteeing the safety of everything that surrounds it. Make sure that your target is able to stop the pellet, it could cross it and impact elements located behind it. Load the weapon only if it is going to be fired, storing a loaded weapon can give rise to confusion for both yourself and other users who are going to use it. 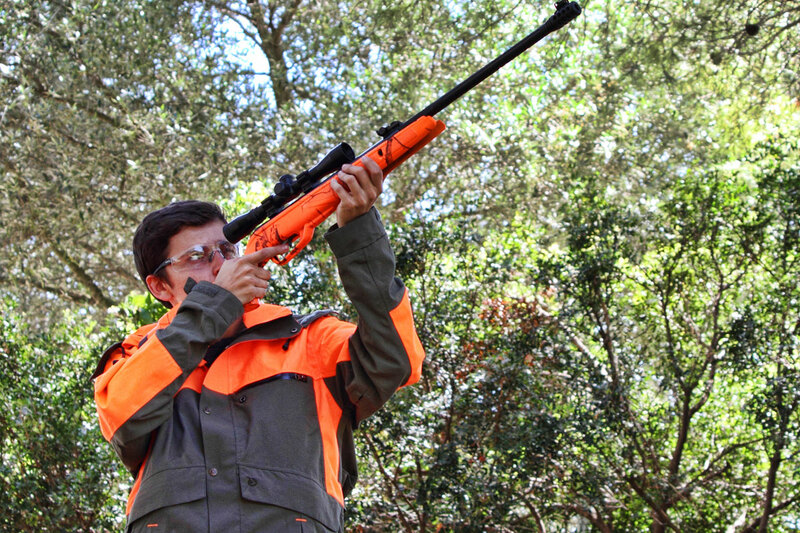 Make sure you use safety glasses as well as hearing protection, in case of shooting accompanied, it is recommended that everyone make use of this material. All companions must remain behind the shooter and in the opposite direction of the gun’s barrel. In no case is it advisable to run, jump or climb carrying a weapon, since we cannot control the direction of its muzzle. When facing an obstacle, deposit the weapon and pick it up after overcoming it, or cede it to your companion. Avoid potential ricochet. Do not shoot in any case against hard, wet or watery surfaces. The pellet could bounce, reaching an unwanted target. Keep the muzzle of your airgun free of dirt. Do not put it in contact with the ground, avoiding it to lodge mud, stones or any object that could interfere in the trajectory of the pellet. An airgun should never be stored charged. Make sure to remove the charger, check its chamber and activate the trigger safe before storing it. It is highly recommended to store the gun and the ammunition separately, especially if other people might have access to it. Under no circumstances should we display, use or manipulate the weapon in public. Our air rifle or airgun could be misguidedly seen as a firearm by the authority, which could imply a sanction or even the preventive detention of its user.